The Great War of 1914–18 ended with the defeat of the main external enemy, Germany. 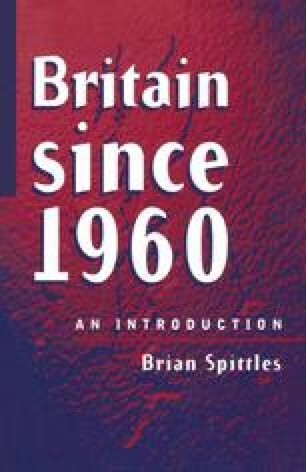 Amidst the general feeling of relief, there was also a belief amongst different classes and sections of British society that a new Britain should be built. This agreement amongst people and groups who disagreed about other matters is usually called by historians a consensus. In this case the consensus, or general agreement, was that the internal enemies in pre-war British society — such factors as class discrimination and privilege, poverty, unemployment, slums, epidemic disease — should also be defeated. It was widely thought that the fundamentally divided, class-ridden and socially unjust society that had existed up until 1914. was no longer acceptable or relevant. The nation had come together in a wartime consensus, and many people believed that unity must be sustained, partly for the benefit of the country as a whole as it faced the post-war world, and in part as a reward to the deprived sections of society who had made great sacrifices in order to contribute to and support the military effort.